£100 deposit balance due four weeks prior to holiday payment by bank transfer or cheque. Welcome, The moment you step into our caravan we hope you feel very much at home, it's light airy feel adds up to instant appeal for a relaxed and truly carefree holiday. 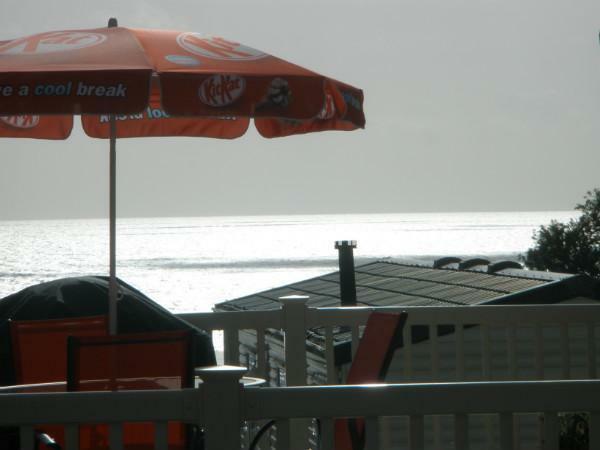 We have a top of the range spacious 6 berth holiday home set on a peaceful corners with sea views. Relax in the large comfortable lounge with gas fire, TV, free view and DVD player, also available are a selection of DVDs books and games for those lazy days. Wifi is also available. The dining area seats six people comfortably. 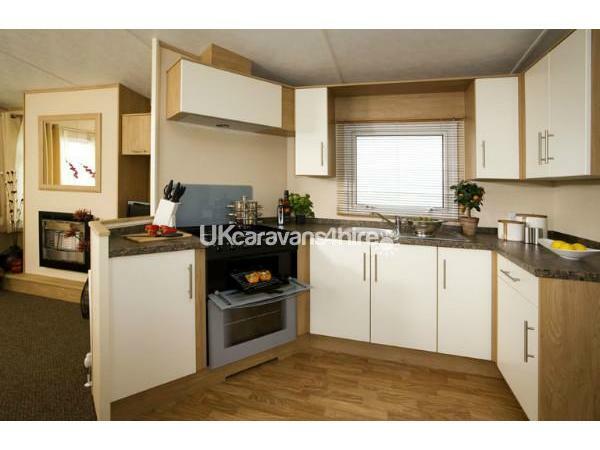 The kitchen is well equipped with full size gas hob and oven with separate grill. A microwave toaster kettle fridge and plenty of pots and pans. There is a spacious main double bedroom with en suite bathroom with shower and wash basin, also a twin bedded room with a further pull out double bed with spring interior mattress in lounge. There is also a separate WC with wash hand basin. UPVC double glazing and full gas fired central heating means you will be as snug as a bug in a rug. 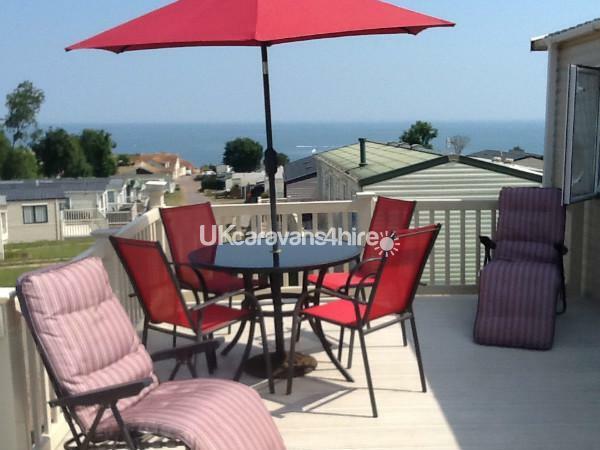 OUTSIDE - Set on a peaceful large corner plot we have an extra large decked balcony with uninterrupted sea views which is furnished with a patio dining set with parasol, sun loungers and a gas barbecue We have our own parking space beside the caravan. NOTES - All bedlinen is provided and beds are made up for your arrival. Electricity is included in the price of your holiday. Gas is obtained via a meter and purchased at reception with a key card. LADRAM BAY Holiday PARK - Is family run and has won awards for best holiday park for the last three years in the UK It offers it's own private beach just a few minutes from anywhere in the park. There is a restaurant and bar set on a balcony overlooking the bay also further cafe and takeaway and well stocked spa shop. Fantastic entertainment every night also indoor swimming pool, amusements crazy golf bowls kids club, adventure playground also a launderette on site ,cots and high chairs can be hired. For further information please contact the owner on Telephone 01395 267109 or 07973 802999. 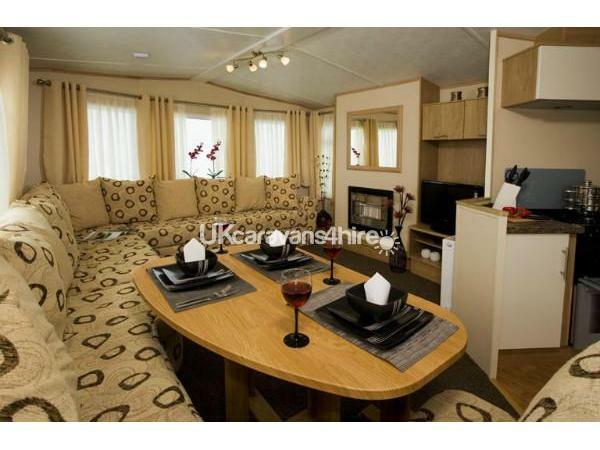 A very comfortable caravan, everything you needed for a good holiday. A great position on site with lovely views over bay. 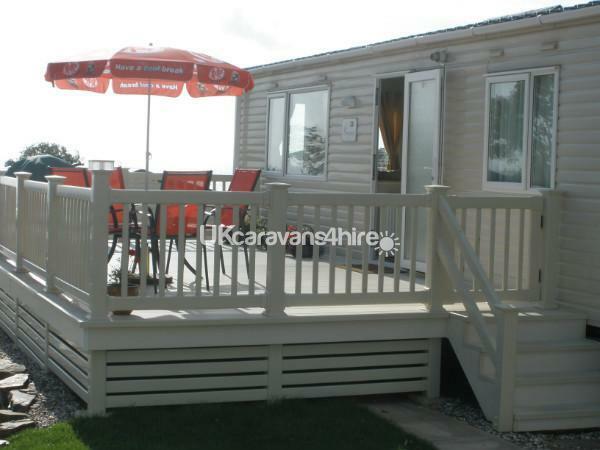 Spacious decking area with furniture. Highly recommend, would go back again. the owner kept in communication prior to the holiday. 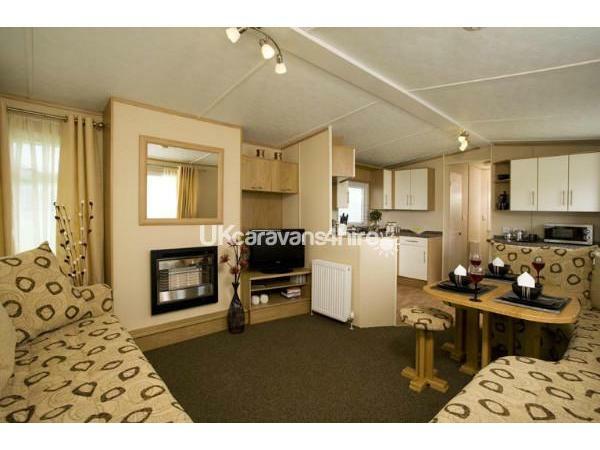 Lovely comfortable caravan, everything you needed for a good holiday. Good position on site with lovely views over bay. 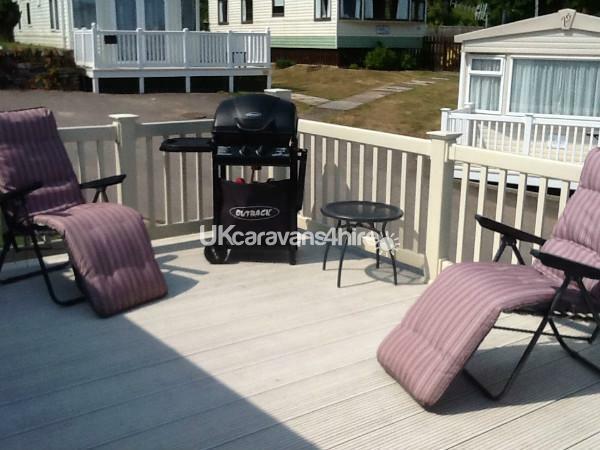 Spacious decking area with furniture. Highly recommend, would go back again.